A record-setting heat wave that sent temperatures soaring into the triple digits in San Diego County this week is expected to break Friday, but temperatures will remain above average into next week. 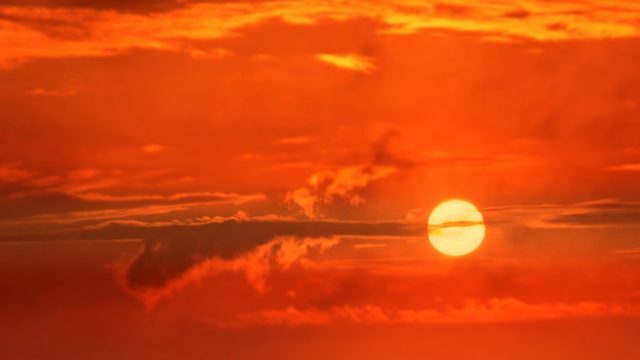 The extended period of extreme heat, which began Monday, could push temperatures Friday into the mid-70s near the coast, high 80s in the inland valleys and mountains, and up to 118 in the local deserts, according to the National Weather Service. The NWS issued an Excessive Heat Warning that began Monday at 10 a.m. and ends Friday at midnight in the county deserts. The NWS cancelled its heat warning for the county valleys Friday, which had been in place since Monday at 10 a.m., because the marine layer will keep the region below heat warning levels. The heat wave was originally expected to break Thursday night. Authorities urge the public to avoid potential health hazards by drinking plenty of water or other non-alcoholic fluids, seeking out shady and air-conditioned environments and checking on relatives and neighbors — particularly the elderly or home-bound people — to ensure they are coping with the heat. A list of local public “cool zones” can be found at www.sandiegocounty.gov/hhsa/programs/ais/cool_zones/. Although the strong high-pressure system is expected to weaken slightly over the weekend, temperatures will remain above average for most of the county with a slight chance of thunderstorms early next week, forecasters said.